Study programme was launched in September 2010. Students acquire various new media (interactive, multimedia, sound, network etc.) instruments and skills in creating art works. Key of this programme is research - including researching art processes. Emphasis is on art as research - within new media art it means that the artist is not only the creator of art work, but also researcher and practitioner of new instruments, media, technology, social process, scientific discoveries. After obtaining academic Master’s degree graduates have an opportunity to work at the Art Research institution or other institution in creative industries (Advertisement Company, culture institutions or create their own institutions) and IT institutions. 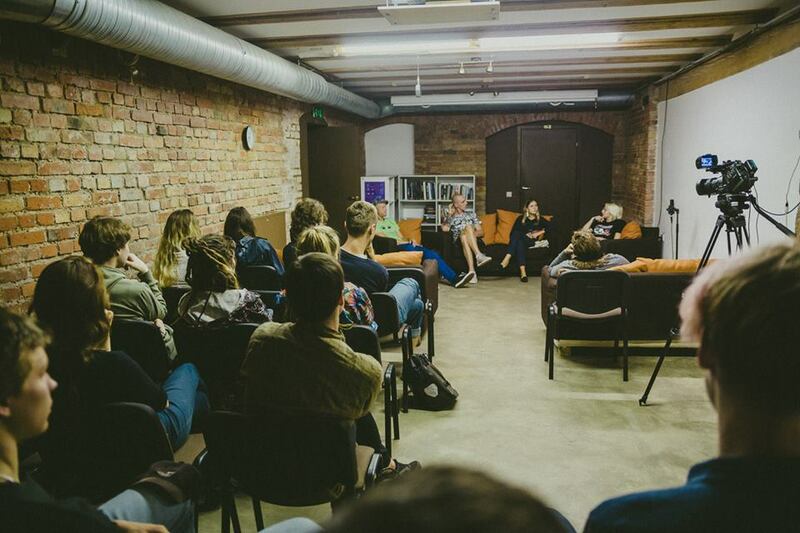 They also are entitled to continue their studies as PhD students in New Media Art field in Liepaja University or in other HEI’s of Latvia or EU. Assessment of students’ knowledge is a continuous process, which lasts during the whole semester and it is done on the basis of independent assignments and tests, as well as passing credit tests and examinations twice a year. During the semester each module envisages several independent assignments – individual and group works, tests and reports. At the end of each module, the module assignments and final project is presented (presentations are open to public) and evaluated (participants include students, lecturers, programme director and Art Research lab employees, audience). In addition to that, each study programme in Liepaja University is evaluated on a regular basis according to Quality Control System. Assessment is made by a ten-point scale or with the help of a credit test. Audio Culture, New Media Art Research, Culture Based Economy, Interactive Media, Photographic Media, New Media (Art) in Cultural Environment, Acoustic Arts / Electronic Music, Digital Network Media, Thesis Project. Acquisition of the study programme is organized in the form of lectures, seminars, practice in workshops, documentation of process, independent studies, acquiring literature and other information sources, working on art project, discussions, self-appraisal, participating in New Media festivals, independent assignment (individual or group work). Implementation of each course envisages integration of knowledge, skills and abilities, succession of the courses in their relation to writing the students’ research project. During the course students fulfill tasks of the practice, set up and present term paper (first academic year) and Master’s paper (second academic year). The size of the Academic Master’s study programme is 120 ECTS (80 CP) and the programme is implemented during two study years.